We’ve written before about the growing popularity of plant-based proteins and how the companies making products such as the Beyond Meat Burger and the Impossible Burger are quickly growing and paving the path to their IPOs. While the popularity of these items is growing with the American public and interests have been piqued, they’ve still haven’t fully hit the mainstream, until now. This week, Burger King announced that it will begin offering a meat-free version of its iconic Whopper called the Impossible Whopper. 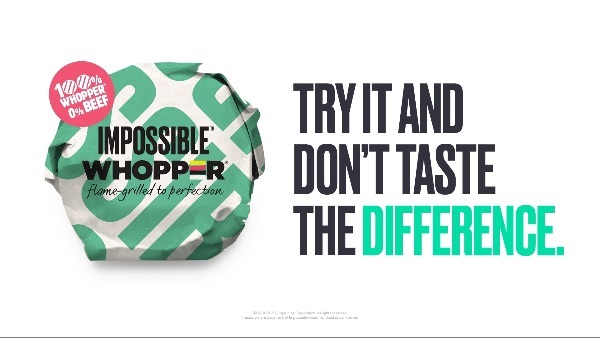 As the New York Times explained, “the Impossible Whopper will be prepared in exactly the same way as the traditional Whopper, with the sesame-seed bun and delivered in a white wrapper with the Impossible branding on it” but will be charged a dollar more. Why This Matters: While other chains like White Castle have already been offering the Impossible Burger, having one of America’s most iconic burger chains feature the patty as a prominent menu item and not just a lackluster vegetarian option will make these meat alternatives accessible and appealing to more people. This is also important because 14.5% of global carbon emissions come from livestock and if more people choose meat-free options because they’re flavorful and accessible that could go a long way toward combating climate change (and other benefits like fighting antibiotic resistance).